Reserve an appointment with our in-house team. Our business model is to reduce your lead generation & marketing duties, giving you more time to you do what you do best - sell real estate. If you are an ambitious, self-motivated, polished real estate professional looking for a rewarding position and are ready for a fresh approach, you will love being part of Robert Slack. Dan Walters discusses how the Robert Slack system will put your career into hyper-growth speed when you join the Robert Slack team. George Tsafonias discusses the systems and technology provided to each real estate agents at Robert Slack and how that helps agents focus on what they do best. Lorena Upton a Robert Slack agent gives a testimonial and discusses the systems provided to her as part of the Robert Slack real estate team. Belinda Maddux Robert Slack agent discusses the secrets to working and closing leads provided by Robert Slack. Follow our system 100% and trust our team and you will see success much quicker than any other legacy broker out there. We have grown 300% year over year since 2014. We are now the # 1 Real Estate team in Florida in total transactions. We will provide the tools you need to be successful. We offer exclusive zip codes in hundreds of markets throughout the state. We spend over $1,000 per agent per month on leads & marketing to assure success. Each agent in our organization works under a sale team leader. Our model will help any agent ramp up quicker and get selling & closing deals faster. New agent on boarding and experienced agent training provided on tools needed for success. Dedicated support team that helps agents build and nurture leads from start to finish. 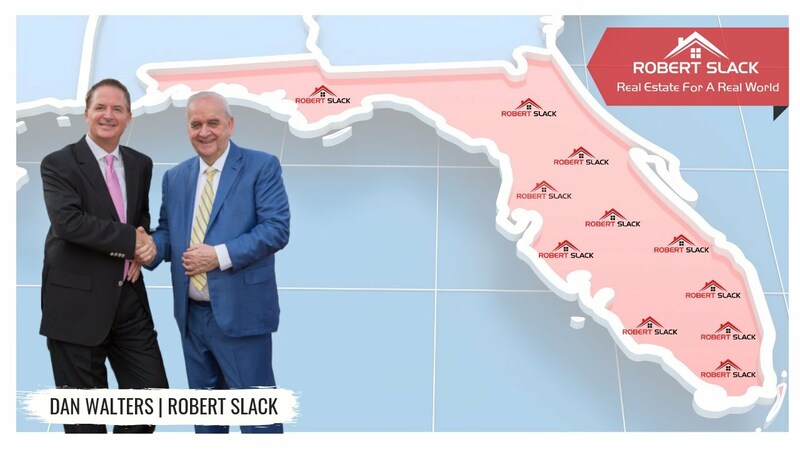 Robert Slack LLC Named #17 in the Nation and #1 in Florida To The Top Thousand Real Estate By RealTrends.com As Advertised In Wall Street Journal. REAL Trends has been The Trusted Source of news, analysis, and information on the residential brokerage industry since 1987.